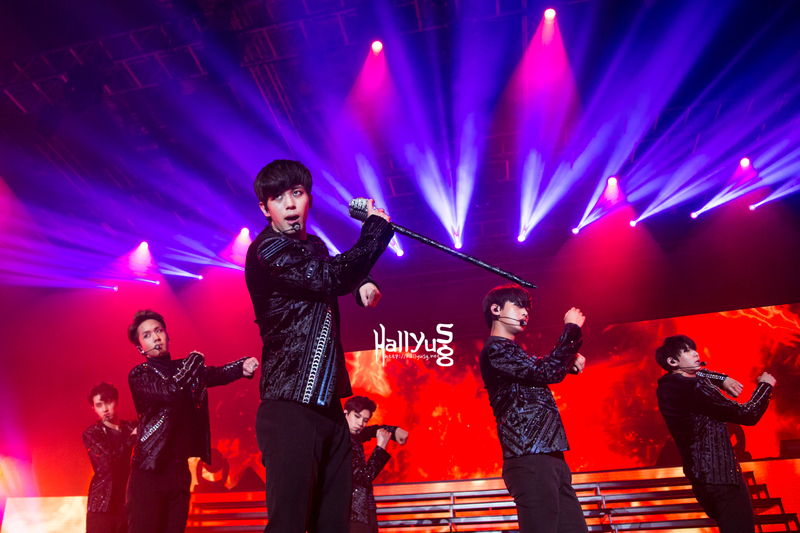 Six-member K-Pop boy band VIXX took our sunny island by storm as they held their second solo concert ‘VIXX Live Fantasia Utopia in Singapore 2015‘ at The Max Pavilion on Friday (May 29th) last week. The concert started with an introduction to their early hit songs such as ‘On and On‘, followed by ‘Voodoo Doll‘ and ‘Light Up the Darkness‘. 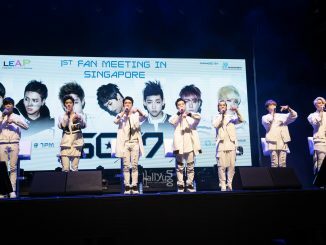 Being able to perform in Singapore for the first time, the boys were both shocked and touched by the warm and passionate welcome extended from the fans, whom many came to greet them at the airport upon their arrival. 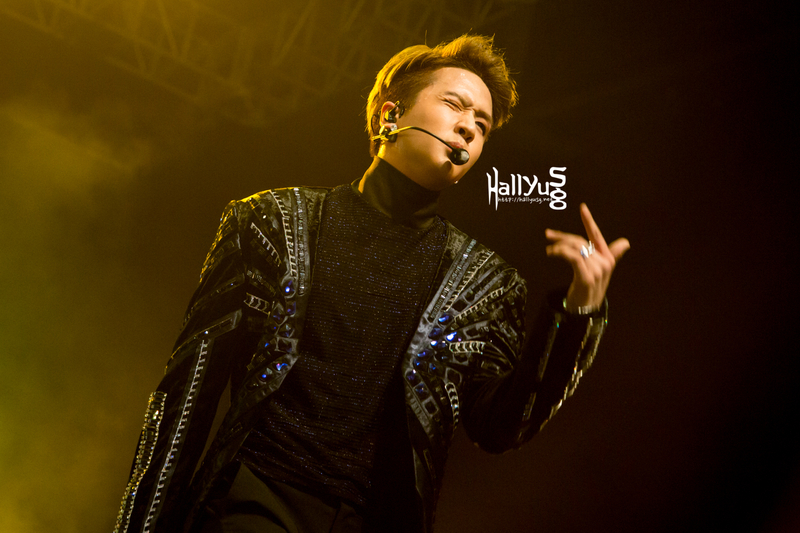 Besides group performances, fans were also treated to special solo stages prepared by the individual members. Ken did a classic and smooth cover of Adele’s ‘Rolling in the Deep‘, while Ravi showcased his hip-hop vibes with a self composed rap of ‘Ghost‘. The youngest member Hyuk serenaded the audience with a sweet cover of Jeff Bernat’s ‘Call You Mine‘. Taking a break from solo performances, the boys moved on to light-hearted songs like ‘Say U Say Me‘ and ‘Rock Ur Body‘, treating the fans to an adorable side of VIXX. Fans also witnessed the dorky sides of the members as they tried to appeal with their individual dancing skills – to which Ken was the one who ultimately won hearts over with his cute dance moves. Continuing with ‘Love Letter‘ and ‘Someday‘, special fan projects were carried out and prepared by ST☆RLIGHTS to commemorate VIXX’s 3rd year anniversary, where fans were seen holding on to banners that read ‘Let’s run together till the end! (끝까지 함께 달리자! )‘ and shining their flashlights during the respective performances. 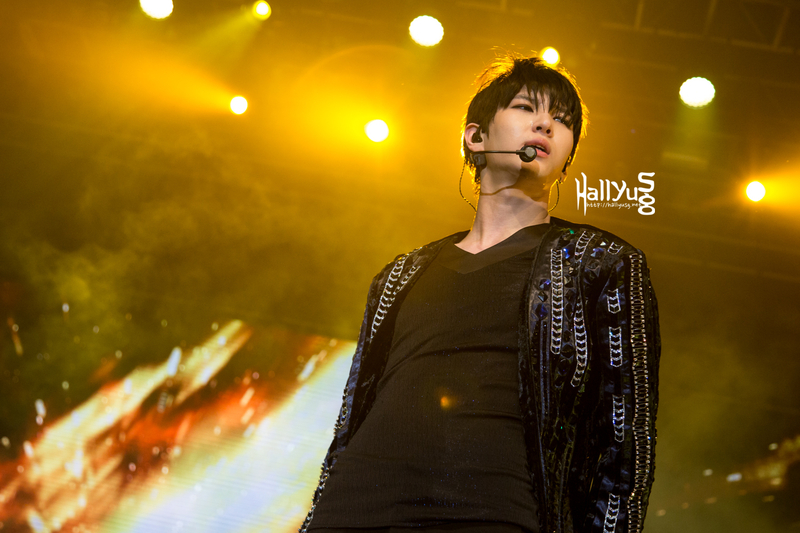 After a short VCR screening, Leo resumed the solo stage with ‘Words to Say‘, stunning the fans with his powerful vocal. Hongbin then showcased a short dance remixed with a martial art performance titled ‘Fighting Sequence‘, while N wrapped up the solo stages with an impressive contemporary dance performance. The concert was at its peak when VIXX performed ‘Hyde‘ and ‘Beautiful Killer‘, before they brought the house down with addictive tracks ‘Error‘ and ‘Eternity‘. Before rounding up the concert, the boys performed their latest hit song ‘Love Equation‘, followed by ‘G.R.8.U‘, keeping the energy level and atmosphere high while moving around the stage to get a closer interaction with all the fans. It was definitely a memorable night to remember for VIXX and us. 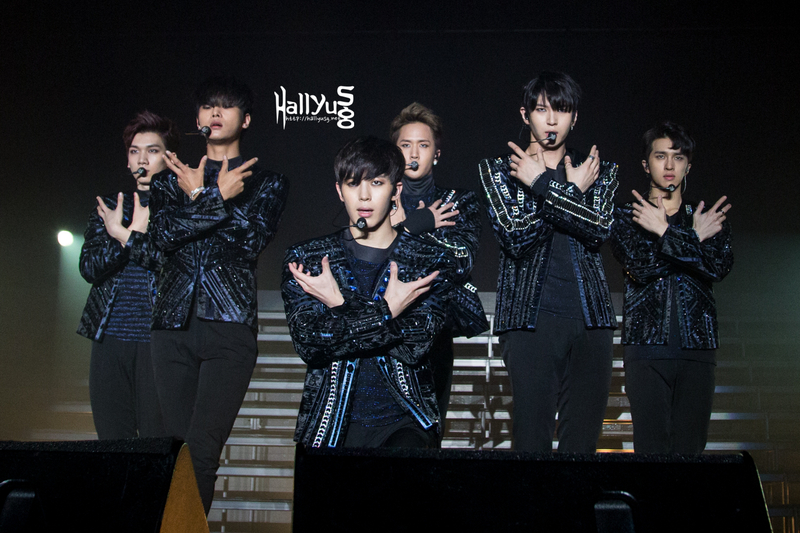 Keep your eyes peeled as more exclusive photos of VIXX will be released on our website very soon! 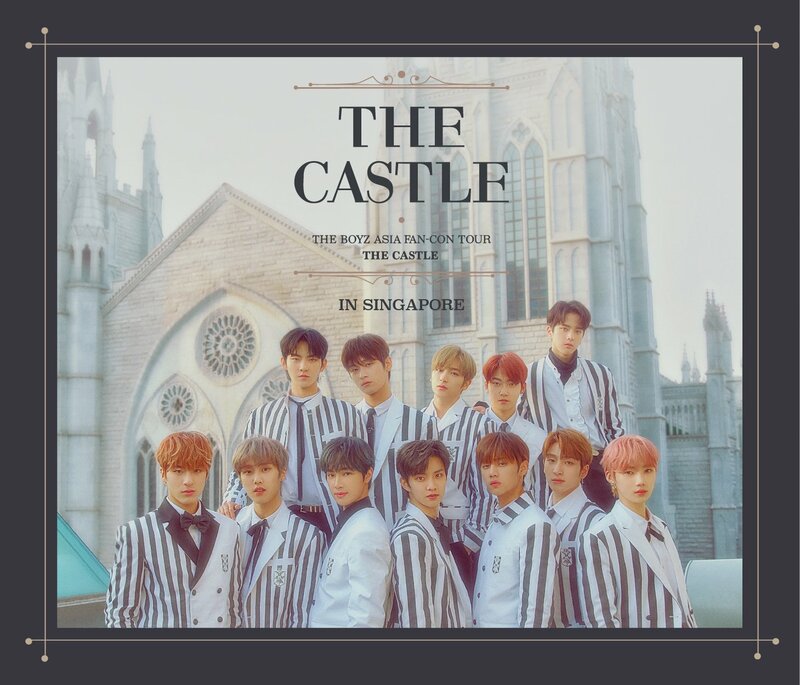 HallyuSG is proud to be the Official Supporting Online Media Partner for VIXX Live Fantasia Utopia in Singapore 2015, proudly brought to you by Jellyfish Entertainment, Three Angles Production and IME Productions.